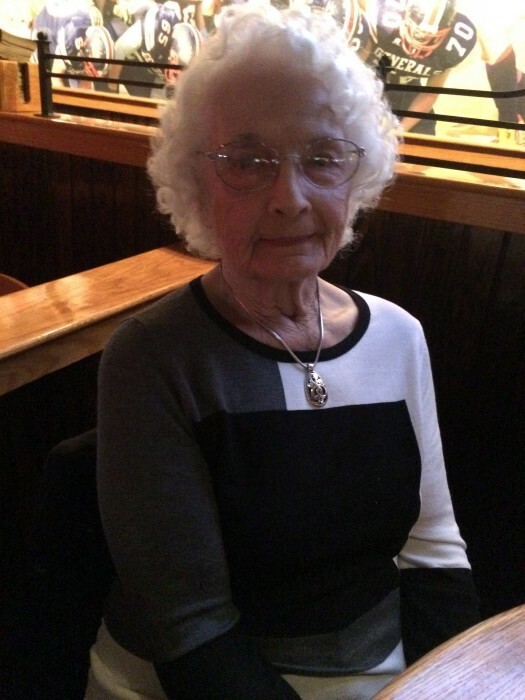 Edith Whitfield Venable, 87 of Ringgold, passed away Thursday, January 24, 2019 in her home surrounded by her loving family. She was born in Chattanooga, TN and lived most of her life in the north Georgia area. She and her husband, James, were the proud owners of Boat Shed Marine in Centre, AL. Edith was preceded in death by her parents, Hughlen and Miriam Whitfield; sisters, Roberta Daniels, Louise Venable, and Olean Cannon; and daughter, Ivy Venable. Survivors include her husband of 71 years, James Venable; daughters, Iris Noblitt and Nila Parris; brothers, Kenneth, Stanley, and Lynn Whitfield; grandchildren, Patrick and Wayne Noblitt, Jennie Milligan, and James Thornton. The family would like to extend special thanks to Regency Hospice for their loving care of Edith. In lieu of flowers, please make donations to Regency Hospice in Dalton, GA.
Funeral services will be held Wednesday, January 30th, 2019 at 1pm in the South Crest Chapel with Stanley Whitfield officiating.